Documenting Women at Iowa features the experiences and work of some of the many women who have at some point in their lives been part of the University of Iowa community. The women documented here were chosen because of their unique and important experiences and contributions to the Iowa community. While their stories do not encompass all the varied type of women in our community, they reflect the larger history of women at the University of Iowa. 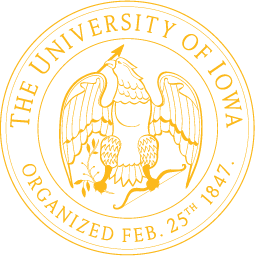 This history includes the hardships of creating a repository for women’s research, recording women’s lives, fixing glaring errors in the larger historical narrative, encouraging women to achieve their potential, and improving the University of Iowa and the Midwest at large. This project consists of three interrelated exhibits – Women and Politics at Iowa, Archiving Women at Iowa, and Women Changing Iowa. Each exhibit features oral history interviews or narrative interpretations from historians, cultural and religious studies scholars, writers, and archivists. Documenting Women at Iowa seeks to introduce the broader public to the dynamic and important work women are completing at the University of Iowa. By documenting the scholastic and personal experiences of women at the university, we hope to complicate the public’s understanding of the people who make up the faculty, staff, students, and alumni at the University of Iowa. Documenting Women at Iowa seeks to highlight how dynamic, challenging, and complex the work of female scholars truly is. This is an ongoing project and we will continue to document the noteworthy experiences of women in our Iowa community and the greater Midwest. Curated by Danielle Hoskins, Katherine Massoth, and Mary Wise.